Excerpted from the first chapter of Power & Market. Economists have referred innumerable times to the "free market," the social array of voluntary exchanges of goods and services. But despite this abundance of treatment, their analysis has slighted the deeper implications of free exchange. Thus, there has been general neglect of the fact that free exchange means exchange of titles of ownership to property, and that, therefore, the economist is obliged to inquire into the conditions and the nature of the property ownership that would obtain in the free society. If a free society means a world in which no one aggresses against the person or property of others, then this implies a society in which every man has the absolute right of property in his own self and in the previously unowned natural resources that he finds, transforms by his own labor, and then gives to or exchanges with others. A firm property right in one's own self and in the resources that one finds, transforms, and gives or exchanges, leads to the property structure that is found in free-market capitalism. Thus, an economist cannot fully analyze the exchange structure of the free market without setting forth the theory of property rights, of justice in property, that would have to obtain in a free-market society. In our analysis of the free market in Man, Economy, and State, we assumed that no invasion of property takes place there, either because everyone voluntarily refrains from such aggression or because whatever method of forcible defense exists on the free market is sufficient to prevent any such aggression. But economists have almost invariably and paradoxically assumed that the market must be kept free by the use of invasive and unfree actions — in short, by governmental institutions outside the market nexus. A supply of defense services on the free market would mean maintaining the axiom of the free society, namely, that there be no use of physical force except in defense against those using force to invade person or property. This would imply the complete absence of a State apparatus or government; for the State, unlike all other persons and institutions in society, acquires its revenue, not by exchanges freely contracted, but by a system of unilateral coercion called "taxation." Defense in the free society (including such defense services to person and property as police protection and judicial findings) would therefore have to be supplied by people or firms who gained their revenue voluntarily rather than by coercion and did not — as the State does — arrogate to themselves a compulsory monopoly of police or judicial protection. Only such libertarian provision of defense service would be consonant with a free market and a free society. Thus, defense firms would have to be as freely competitive and as noncoercive against noninvaders as are all other suppliers of goods and services on the free market. Defense services, like all other services, would be marketable and marketable only. Those economists and others who espouse the philosophy of laissez faire [sic minarchism] believe that the freedom of the market should be upheld and that property rights must not be invaded. Nevertheless, they strongly believe that defense service cannot be supplied by the market and that defense against invasion of property must therefore be supplied outside the free market, by the coercive force of the government. In arguing thus, they are caught in an insoluble contradiction, for they sanction and advocate massive invasion of property by the very agency (government) that is supposed to defend people against invasion! For a laissez-faire government would necessarily have to seize its revenues by the invasion of property called taxation and would arrogate to itself a compulsory monopoly of defense services over some arbitrarily designated territorial area. The laissez-faire theorists (who are here joined by almost all other writers) attempt to redeem their position from this glaring contradiction by asserting that a purely free-market defense service could not exist and that therefore those who value highly a forcible defense against violence would have to fall back on the State (despite its black historical record as the great engine of invasive violence) as a necessary evil for the protection of person and property. The laissez-faireists offer several objections to the idea of free-market defense. One objection holds that, since a free market of exchanges presupposes a system of property rights, therefore the State is needed to define and allocate the structure of such rights. But we have seen that the principles of a free society do imply a very definite theory of property rights, namely, self-ownership and the ownership of natural resources found and transformed by one's labor. Therefore, no State or similar agency contrary to the market is needed to define or allocate property rights. This can and will be done by the use of reason and through market processes themselves; any other allocation or definition would be completely arbitrary and contrary to the principles of the free society. A similar doctrine holds that defense must be supplied by the State because of the unique status of defense as a necessary precondition of market activity, as a function without which a market economy could not exist. Yet this argument is a non sequitur that proves far too much. It was the fallacy of the classical economists to consider goods and services in terms of large classes; instead, modern economics demonstrates that services must be considered in terms of marginal units. For all actions on the market are marginal. If we begin to treat whole classes instead of marginal units, we can discover a great myriad of necessary, indispensable goods and services all of which might be considered as "preconditions" of market activity. Is not land room vital, or food for each participant, or clothing, or shelter? Can a market long exist without them? And what of paper, which has become a basic requisite of market activity in the complex modern economy? Must all these goods and services therefore be supplied by the State and the State only? The laissez-faireist also assumes that there must be a single compulsory monopoly of coercion and decision-making in society, that there must, for example, be one Supreme Court to hand down final and unquestioned decisions. But he fails to recognize that the world has lived quite well throughout its existence without a single, ultimate decision-maker over its whole inhabited surface. The Argentinian, for example, lives in a state of "anarchy," of nongovernment, in relation to the citizen of Uruguay — or of Ceylon. And yet the private citizens of these and other countries live and trade together without getting into insoluble legal conflicts, despite the absence of a common governmental ruler. The Argentinian who believes he has been aggressed upon by a Ceylonese, for example, takes his grievance to an Argentinian court, and its decision is recognized by the Ceylonese courts — and vice versa if the Ceylonese is the aggrieved party. Although it is true that the separate nation-States have warred interminably against each other, the private citizens of the various countries, despite widely differing legal systems, have managed to live together in harmony without having a single government over them. If the citizens of northern Montana and of Saskatchewan across the border can live and trade together in harmony without a common government, so can the citizens of northern and of southern Montana. In short, the present-day boundaries of nations are purely historical and arbitrary, and there is no more need for a monopoly government over the citizens of one country than there is for one between the citizens of two different nations. It is all the more curious, incidentally, that while laissez-faireists should by the logic of their position, be ardent believers in a single, unified world government, so that no one will live in a state of "anarchy" in relation to anyone else, they almost never are. And once one concedes that a single world government is not necessary, then where does one logically stop at the permissibility of separate states? If Canada and the United States can be separate nations without being denounced as being in a state of impermissible "anarchy," why may not the South secede from the United States? New York State from the Union? New York City from the state? Why may not Manhattan secede? Each neighborhood? Each block? Each house? Each person? But, of course, if each person may secede from government, we have virtually arrived at the purely free society, where defense is supplied along with all other services by the free market and where the invasive State has ceased to exist. The role of freely competitive judiciaries has, in fact, been far more important in the history of the West than is often recognized. The law merchant, admiralty law, and much of the common law began to be developed by privately competitive judges, who were sought out by litigants for their expertise in understanding the legal areas involved. The fairs of Champagne and the great marts of international trade in the Middle Ages enjoyed freely competitive courts, and people could patronize those that they deemed most accurate and efficient. Of course, it is possible that in some areas a single agency would outcompete all others, but this does not seem likely when we realize that there is no territorial monopoly and that efficient firms would be able to open branches in other geographical areas. It seems likely, also, that supplies of police and judicial service would be provided by insurance companies, because it would be to their direct advantage to reduce the amount of crime as much as possible. One common objection to the feasibility of marketable protection (its desirability is not the problem here) runs as follows: Suppose that Jones subscribes to Defense Agency X and Smith subscribes to Defense Agency Y. (We will assume for convenience that the defense agency includes a police force and a court or courts, although in practice these two functions might well be performed by separate firms.) Smith alleges that he has been assaulted, or robbed, by Jones; Jones denies the charge. How, then, is justice to be dispensed? Clearly, Smith will file charges against Jones and institute suit or trial proceedings in the Y court system. Jones is invited to defend himself against the charges, although there can be no subpoena power, since any sort of force used against a man not yet convicted of a crime is itself an invasive and criminal act that could not be consonant with the free society we have been postulating. If Jones is declared innocent, or if he is declared guilty and consents to the finding, then there if no problem on this level, and the Y courts then institute suitable measures of punishment. But what if Jones challenges the finding? In that case, he can either take the case to his X court system, or take it directly to a privately competitive Appeals Court of a type that will undoubtedly spring up in abundance on the market to fill the great need for such tribunals. Probably there will be just a few Appeals Court systems, far fewer than the number of primary courts, and each of the lower courts will boast to its customers about being members of those Appeals Court systems noted for their efficiency and probity. The Appeals Court decision can then be taken by the society as binding. Indeed, in the basic legal code of the free society, there probably would be enshrined some such clause as that the decision of any two courts will be considered binding, i.e., will be the point at which the court will be able to take action against the party adjudged guilty. Every legal system needs some sort of socially-agreed-upon cutoff point, a point at which judicial procedure stops and punishment against the convicted criminal begins. But a single monopoly court of ultimate decision-making need not be imposed and of course cannot be in a free society; and a libertarian legal code might well have a two-court cutoff point, since there are always two contesting parties, the plaintiff and the defendant. Another common objection to the workability of free-market defense wonders: May not one or more of the defense agencies turn its coercive power to criminal uses? In short, may not a private police agency use its force to aggress against others, or may not a private court collude to make fraudulent decisions and thus aggress against its subscribers and victims? It is very generally assumed that those who postulate a stateless society are also naive enough to believe that, in such a society, all men would be "good," and no one would wish to aggress against his neighbor. There is no need to assume any such magical or miraculous change in human nature. Furthermore, the purely free-market, stateless society would contain within itself a system of built-in "checks and balances" that would make it almost impossible for such organized crime to succeed. There has been much talk about "checks and balances" in the American system, but these can scarcely be considered checks at all, since every one of these institutions is an agency of the central government and eventually of the ruling party of that government. The checks and balances in the stateless society consist precisely in the free market, i.e., the existence of freely competitive police and judicial agencies that could quickly be mobilized to put down any outlaw agency. It is true that there can be no absolute guarantee that a purely market society would not fall prey to organized criminality. But this concept is far more workable than the truly Utopian idea of a strictly limited government, an idea that has never worked historically. And understandably so, for the State's built-in monopoly of aggression and inherent absence of free-market checks have enabled it to burst easily any bonds that well-meaning people have tried to place upon it. Finally, the worst that could possibly happen would be for the State to be reestablished. And since the State is what we have now, any experimentation with a stateless society would have nothing to lose and everything to gain. If, then, individuals were willing to pay sufficiently high price, protection, general education, recreation, the army, navy, police departments, schools and parks might be provided through individual initiative, as well as food, clothing and automobiles. Actually, Hunter and Allen greatly underestimated the workability of private action in providing these services, for a compulsory monopoly, gaining its revenues out of generalized coercion rather than by the voluntary payment of the customers, is bound to be strikingly less efficient than a freely competitive, private enterprise supply of such services. The "price" paid would be a great gain to society and to the consumers rather than an imposed extra cost. Thus, a truly free market is totally incompatible with the existence of a State, an institution that presumes to "defend" person and property by itself subsisting on the unilateral coercion against private property known as taxation. On the free market, defense against violence would be a service like any other, obtainable from freely competitive private organizations. A is to compel B to co-operate with him, or B to compel A; but in any case co-operation cannot be secured, as we are told, unless, through all time, one section is compelling another section to form a State. Very good; but then what has become of our system of Individualism? A has got hold of B, or B of A, and has forced him into a system of which he disapproves, extracts service and payment from him which he does not wish to render, has virtually become his master — what is all this but Socialism on a reduced scale? … Believing, then, that the judgment of every individual who has not aggressed against his neighbour is supreme as regards his actions, and that this is the rock on which Individualism rests — I deny that A and B can go to C and force him to form a State and extract from him certain payments and services in the name of such State; and I go on to maintain that if you act in this manner, you at once justify State-Socialism. See Bruno Leoni, Freedom and the Law (Princeton, N.J.: D. Van Nostrand, 1961). 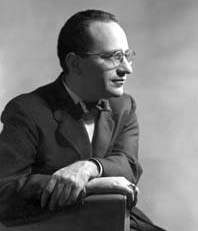 See also Murray N. Rothbard, "On Freedom and the Law," New Individualist Review, Winter, 1962, pp. 37–40. Suppose that Smith, convinced of Jones' guilt, "takes the law into his own hands" rather than go through the court procedure? What then? In itself this would be legitimate and not punishable as a crime, since no court or agency may have the right, in a free society, to use force for defense beyond the selfsame right of each individual. However, Smith would then have to face the consequence of a possible countersuit and trial by Jones, and he himself would have to face punishment as a criminal if Jones is found to be innocent. The Law Code of the purely free society would simply enshrine the libertarian axiom: prohibition of any violence against the person or property of another (except in defense of someone's person or property), property to be defined as self-ownership plus the ownership of resources that one has found, transformed, or bought or received after such transformation. The task of the Code would be to spell out the implications of this axiom (e.g., the libertarian sections of the law merchant or common law would be co-opted, while the statist accretions would be discarded). The Code would then be applied to specific cases by the free-market judges, who would all pledge themselves to follow it. Man, Economy, and State, pp. 1029–36. Merlin H. Hunter and Harry K. Allen, Principles of Public Finance (New York: Harper & Bros., 1940), p. 22. Auberon Herbert and J.H. Levy, Taxation and Anarchism (London: The Personal Rights Association, 1912), pp. 2–3.